Product prices and availability are accurate as of 2019-04-13 18:39:12 EDT and are subject to change. Any price and availability information displayed on http://www.amazon.com/ at the time of purchase will apply to the purchase of this product. Leaving electrical appliances on standby costs you 10% to 60% of the power, it also shortens the life of electrical appliances. 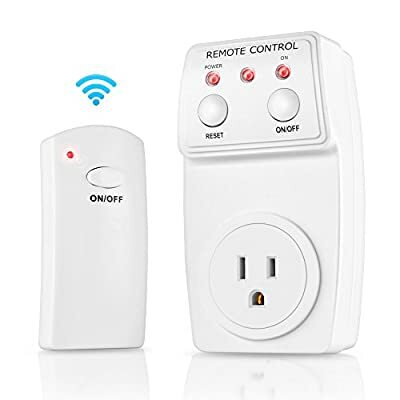 Obvis Wireless Remote Control Outlet Switch Kit keeps you out of such trouble, you can switch On/Off hard-to-reach appliances and devices just anytime. It works from as fas as 30M/100ft outdoor and 10M/33ft indoor. 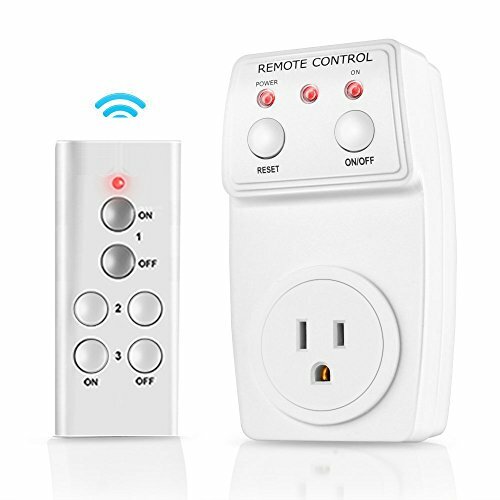 It enables you to control appliances and devices far away from you without taking even one step.This remote control electrical outlet switch is easy to use. 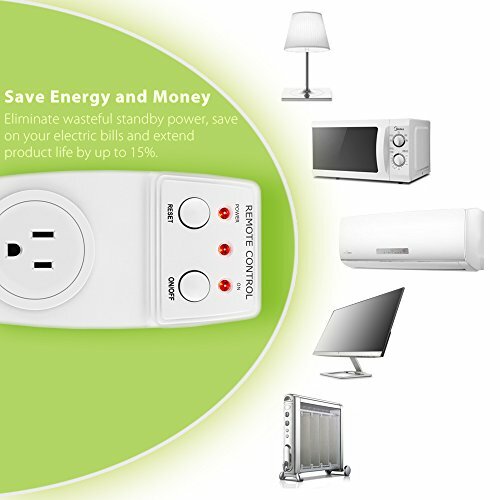 Simply plug it with electrical appliance on any outlet convenient to you. 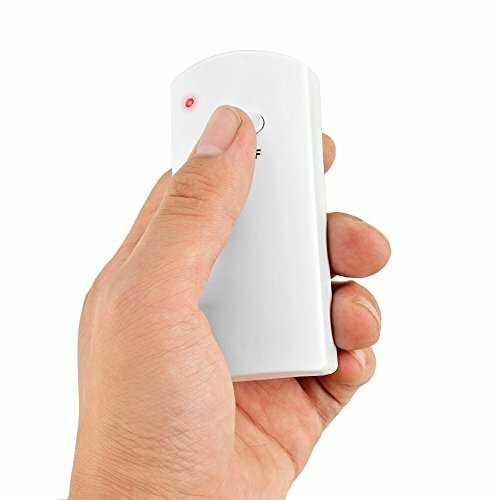 You can switch ON/OFF by the remote control without any setting.